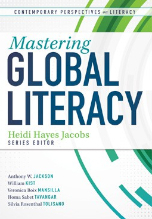 This is the sixth and last post in a series to dig deeper into the relationship between literacy and documenting learning. 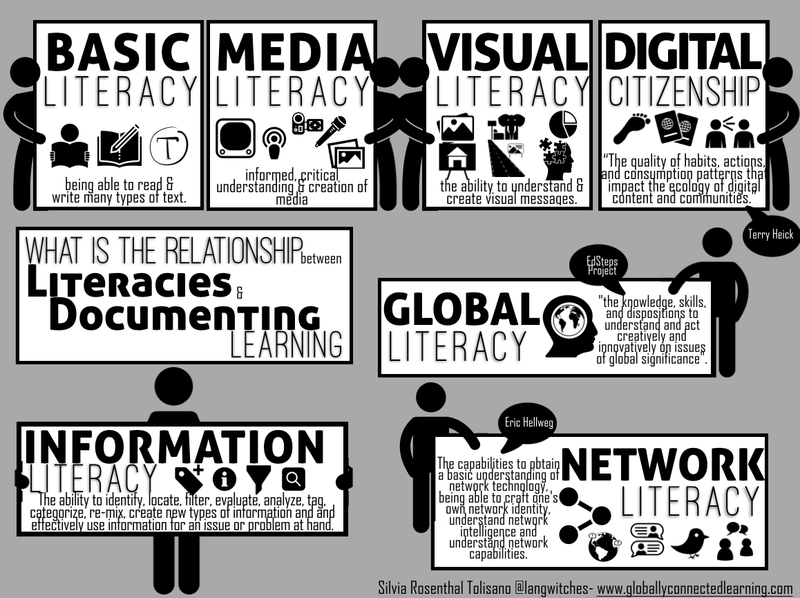 HOW does documenting learning have an effects on awareness, skills and developing habits around the so called 21st century “Now” literacies. 1. Obtaining a basic understanding of network technology. Networks are facilitated by technology and so a certain fluency with the technology involved is key. Here it’s less a call for coding than for understanding the capabilities of services like social networks and the differences and similarities between them. 2. Crafting your network identity. You are who you know, says Hoffman — but also what they know about you. In a networked age, your identity is multivariate and slightly out of your control. Who you know shapes who you are. 3. Understanding network intelligence. This is more than simply understanding how to access information. Access is no longer the issue. It’s how to find the right information through your network. 4. Understanding network capabilities. People are still focused today on information instead of what Hoffman sees as more important today — communities and networks. Aligning your focus more on the network and surrounding yourself with the right people in your networks will change the way you approach problems and advance through life. Taking these four overarching areas in mind, we can see how documenting learning supports each one of them. As more and more network communities are sprouting, the more important it becomes for us to be able to understand them in terms of purposes, similarities and differences. When would it make sense to share your documentation on a blog? When should you create an Instagram account? How does Twitter fit into all of this? Which network platforms and communities serve which purpose? Participating in which communities would we most likely receive input, feedback, push-back, collaboration, curated resources or whatever connections we are in need of? As we document learning and we prepare to share, we need the skills to make decisions what networks and their communities would most likely give us the desired outcomes for learning we are looking for. Being part of a network community means being more than a passive lurker, who reads about the work of others and takes advantage of the resources that are being shared. It is a process to build a network identity that others will choose to follow due to quality content that is being contributed to the network. Being part of a network community is also about building trust among members. What do we want others to know about us as a member of that community? What do we stand for? What niche do we fill? What content represents our area of interest or expertise? What do we want to be known for in the network community? How do we want others to see us in the community? As we document learning and understand the value of sharing and amplifying, we are constantly making decisions about what to share and whom to share it with. Our network identity is the one that attracts specific types of followers as we grow our networks to have access to an authentic audience that can provide amplified learning opportunities. One of the biggest shifts in our thinking in terms of learning and information is the one that acknowledges and gets over the fact that we are no longer restricted to receive information from a book, in other text formats or in formal educational opportunities such as formal classes, workshops, seminars or lectures. It is hard to understand this shift when the learner has never experienced the power of a network to gain access to information, filter information, create new types of information and disseminate information for them. How do we get to just-in-time information whenever we are in need of specific information outside of business hours, during a semester break, with no monetary budget for accredited classes, outside of an officially published and available book, article or magazine? How do we take advantage of and use the power of crowdsourcing, a phenomenon impossible without networking communities? As we document learning, we need to develop skills to leverage network intelligence for our learning. We become visible researchers of learning, we are supported by our networks to connect documented experiences of others to our own, We can incorporate information funneled and filtered from many sources for us to use and experiment with on our own. We also become part of the capacity of the network to paint the bigger picture of what learning is, how it looks like from different perspectives, with amplified expertise and pool of examples of successes and failures at our disposal. Something that would not be possible without a network. It is about communities and networks of people. In these communities, participants are contributors, not just consumers. That is how networks work. If no one were to contribute, the mechanism of any network would not function. 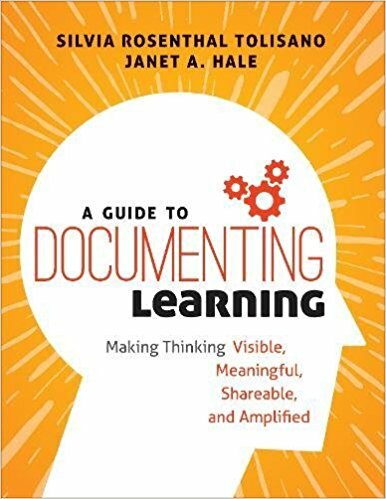 As we share our documentation of learning, disseminate the documentation strategically via our networks, we amplify opportunities for the learn to receive feedback, teach others, find like-minded people or receive push-back of our thoughts, ideas and theories. That simple act, transforms documenting of learning to documenting for learning. 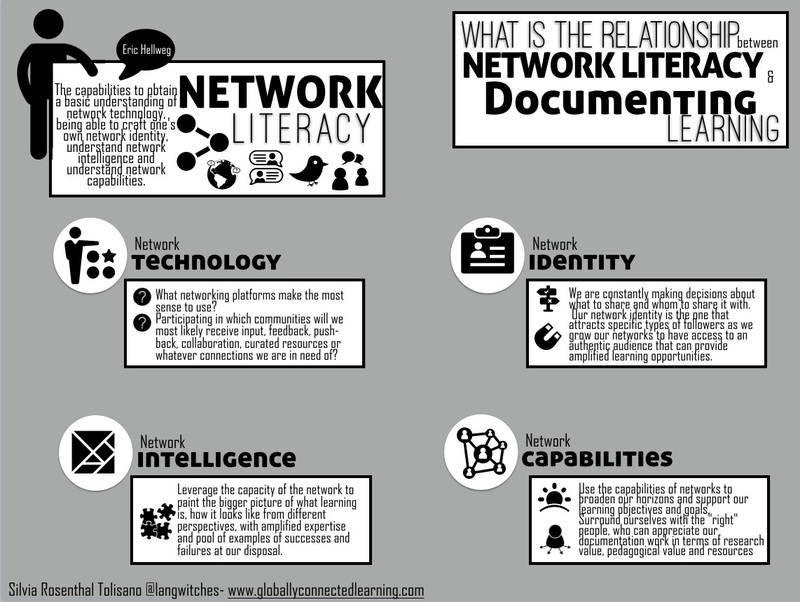 As we document learning, we need to develop the skills to use the capabilities of networks to broaden our horizons and support our learning objectives and goals. We document to share our learning with others, keeping an audience (potentially global) in mind, contribute our perspective, voice and reflection to a community of learners. As we share strategically, we need to surround ourselves with the “right” people, who can appreciate our documentation work in terms of research value, pedagogical value and resources and potentially reciprocate for our own learning. Simply sharing out into cyberspace does not return the specific goals of documenting learning. As we experiment, grow, and interact with different types of network communities, we become adept at what community serves which purpose to share our documentation and amplify our learning.